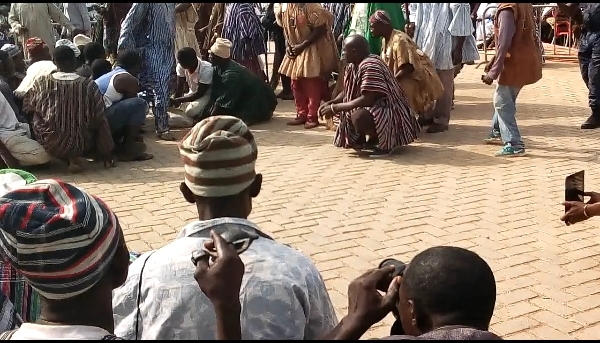 Sounds of drums and xylophones have taken over the Wa Naa’s palace as the current Chief of the Waala Traditional Area Naa Seidu Pelpou renewed his mandate by performing the spiritual and ceremonial activity as a chief of the Waala Traditional Area by “jumping over” a live cow. The short ceremony according to the traditional council is very important as it serves as the strongest pillar in the tradition of the Waala Traditional Area to determine whether the sitting chief is capable both spiritually and physically to run the affairs of the kingdom again. This is done on the final day of the Dumba festival. Wa Naa Seidu Fuseini Pelpou about to Jump over the Cow Prior to the spiritual ceremony, family members, sub chiefs and the royal bloods were seen crying, praying seriously for the chief to perform the ceremony successful. 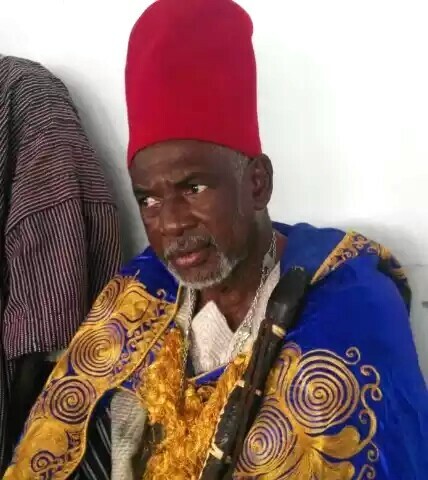 As part of the ceremony,the chief and some of his sub chiefs under the watch of Muslims clerics moved round the tied live cow in a circle form several times with powerful supplications from the Muslim clerics and spiritual assistants from some stationed spiritualists. Meanwhile, the crying and praying all came to a halt after the chief during the final round successfully ‘jumped over the cow’ and a jubilant moment suddenly surfaced the whole place. Dumba festival is an annual festival celebrated by the chiefs and people of the Waala Traditional Area to mark the birth of Prophet Mohammed S.A.W and it is also taken as a means for the Overlord of the Waala Traditional Area to renew his mandate as he proceeds to the coming years. This year’s own is the 98th since the inception of Dumba festival. ← Upper West: What Do You Know About The Waala Tribe?